Join us in a celebration of birds and spring, and help raise money for Napa-Solano Audubon Scholarships and Education Programs! Private tours in locales normally not open to the public, and more! 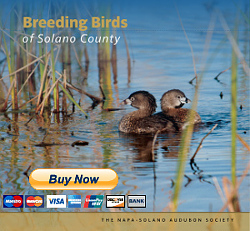 Napa-Solano Audubon Society has been growing and expanding our programs. We have added more educational support to local schools, and have also been providing scholarships to very deserving students in Napa and Solano Counties. In addition, we have added more walks and done more habitat monitoring. Proceeds from this fundraiser will support these programs and help us expand further! For questions about any of these events, email admin@napasolanoaudubon.com. Join a team (or lead one!) and see how many birds you can find in a half-day or a day. Minimum $25 contribution to be on a team, or get sponsors to help raise money! This event runs the entire month of April so pick a day that is convenient for you! 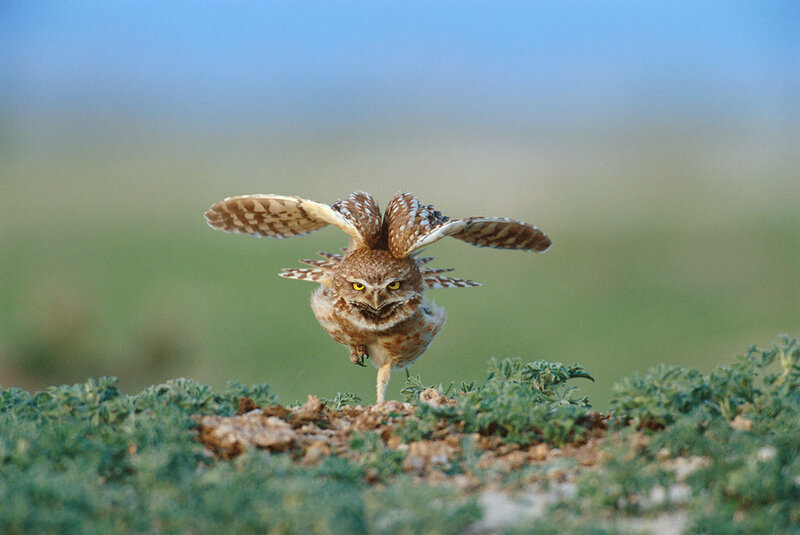 Ever been �owling?� Remove the wax from your ears and join local owl expert, Robin Leong, for a trip that offers a more interesting owling experience, including information about their habitat and calls in Solano County. Bring binoculars, snacks, flashlights, talkabouts (walkie talkies will be provided), sturdy shoes, warm clothing and a hopeful attitude. The tour and presentation will be led by Napa-Solano Audubon Board Member Robin Leong and will be held in Fairfield. Learn about the endangered Tricolored Blackbird and see an active nesting colony up-close! 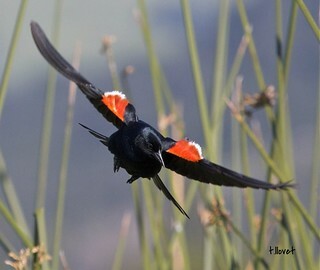 Participants will meet at Rush Ranch and go visit a Tricolored Blackbird colony nearby on private property owned by Solano Land Trust. We will look for specific behaviors and calls associated with this time in the breeding season, and watch the thousands of birds in the colony come and go. After, we will return to Rush Ranch for a discussion about Tricolored Blackbird biology, conservation efforts, and active research, including an on-going project involving automated sound recording. The tour and presentation will be led by former Napa-Solano Audubon President Wendy Schackwitz. Visit and learn about Napa County Resource Conservation District�s Huichica Creek Sustainable Demonstration Vineyard in Carneros. Originally used for grazing, the 21-acre property was purchased by RCD in 1991 for the purposes of highlighting how to create an economically viable vineyard that is also biologically sustainable. The property now produces quality Chardonnay and Pinot Noir while supporting habitat for nesting birds, mammals, and beneficial insect populations. The property has had great success with its bluebird nest boxes, and participants can help check the bluebird boxes for signs of nesting. 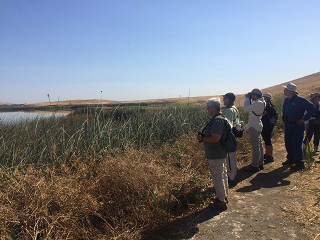 You can also learn about restoration of Huichica Creek, check out our newly installed owl boxes, and go for a bird walk in the Napa-Sonoma Marsh which is directly adjacent to the property. This property is not normally open to the public but RCD is allowing access for this special event. The tour and presentation will be led by Napa-Solano Audubon Education Chair, Eric McKee. Manfred Kusch, retired from UC Davis, has lived the last 25 years along the south bank of Putah Creek. 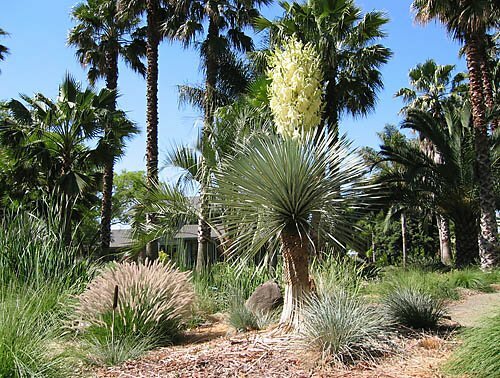 He has developed part of his property into a private bird preserve that includes a large riparian woodland. Varied habitats attract many species of wintering and breeding birds. In past years, several pairs of Bullock's and Hooded Orioles as well as Black-headed Grosbeaks have nested in or near the garden. Other possible birds include Calliope, Rufous, and Black-chinned Hummingbirds, as well as flycatchers and swallows. The tour is about two hours with a one-mile walk over mildly uneven terrain along the creek. Come and celebrate our Bird-a-thon and all the people who participated! Hear amazing tales of birding prowess and rare birds, and applaud our fabulous birders. Arrive early and do a little birding in Kennedy Park! Lunch will be served at noon, with the results presentation held during lunch. Tickets are free for all Birdathon participants and for all donors who contributed at least $25. NOTE! All attendees must register using the button below. All ticket reservations close May 4!